Craig Burton with previous MD Keith Pallett. East Midlands-based CoMech has appointed Craig Burton, formerly of Bombardier, as its new Managing Director. 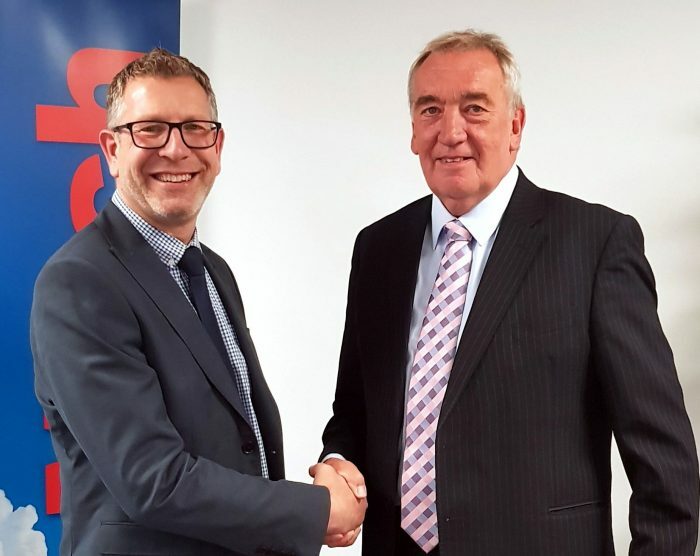 Renowned for providing highly-specialised measurement and calibration solutions in the rail industry, CoMech appointed Craig to drive growth and focus on cultivating new partnerships and innovation. The firm’s previous MD and owner, Keith Pallett, who is now pursuing projects and acquisitions which will bring additional services into the wider CoMech group, he will remain a key figure within the business, made the handover official. Speaking about the move, Mr. Pallet said: “The rail industry is going through a period of transformation, and we have an important role to play in providing our customers with the expertise and support to ensure its future remains strong. “We have invested considerably in our personnel and technologies over the years, expanding into new facilities in our Laboratories, web-based asset management, online retail and new administration offices at Derby’s Rail Technology Centre. “Under Craig’s experienced leadership, and the appointment of additional key staff we are all focused on further developing our brand and offering, these are exciting times. Craig, who began his career as an electrical engineer at Bombardier, added: “CoMech has a long and storied history, and with more than 20-years experience in the rail industry I am thrilled to be joining a team that shares the same drive, passion and perspective.